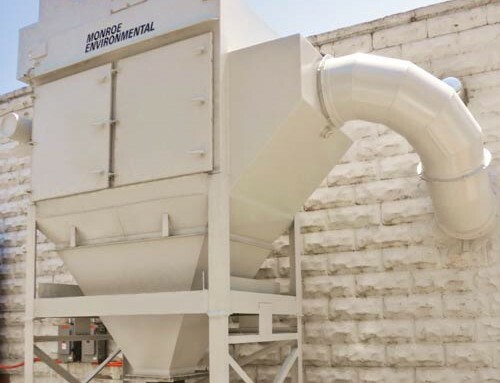 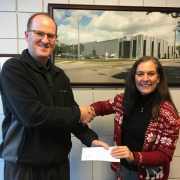 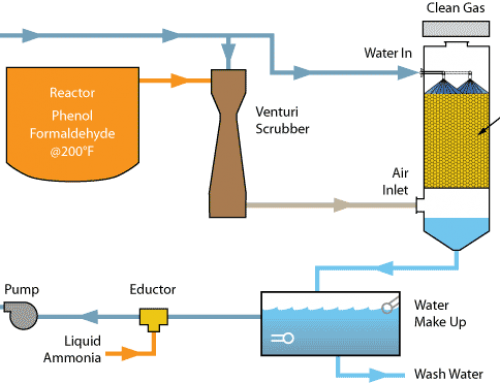 A wastewater treatment plant needed to reduce its SO2 (sulfur dioxide) emissions to meet updated regulatory standards. 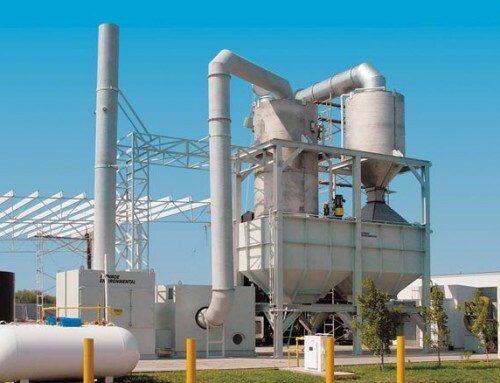 The plant’s existing treatment capabilities were insufficient to met the new regulations. 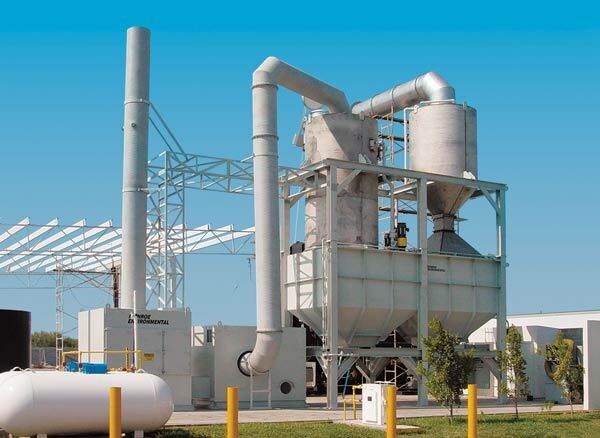 The pollution was being generated from an existing multiple hearth incinerator which was burning biosolids. 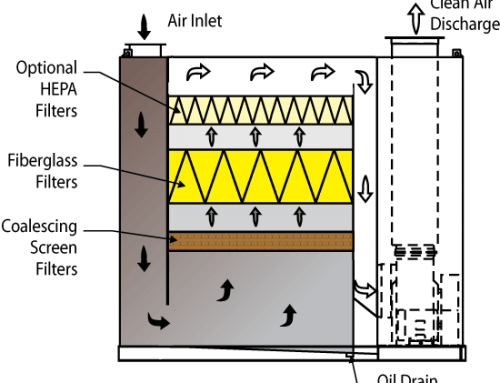 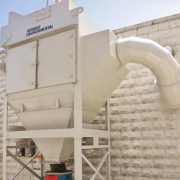 The new system was to be installed downstream of an existing wet electrostatic precipitator used to remove particulate from the airstream. 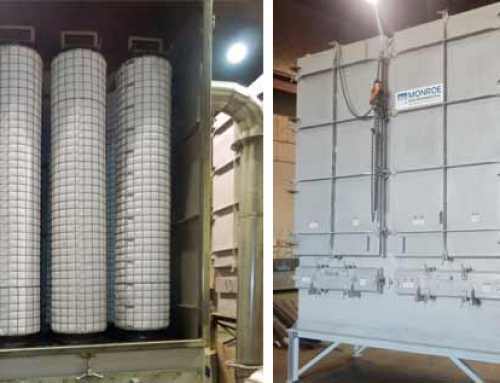 Monroe Environmental supplied a Packed Tower Wet Scrubber to absorb and neutralize the SO2 utilizing a caustic solution of up to 25% NaOH. 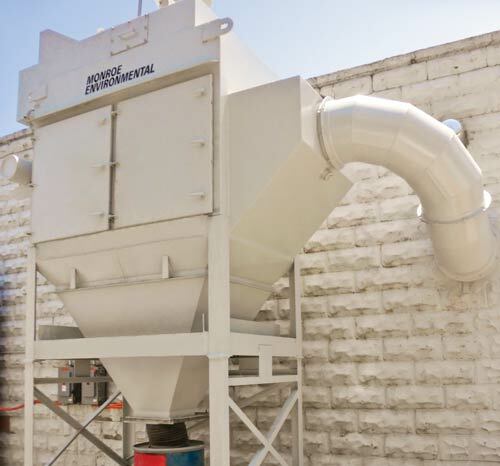 The unit was constructed from stainless steel and included a liquid recycling tank with level controls, recirculation pumps, spray nozzles, random packing media, mist eliminator, liquid flow meters, pressure transmitters, instruments, PLC controls, and structural support frame. 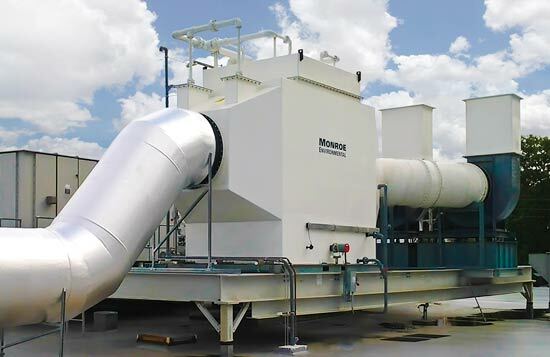 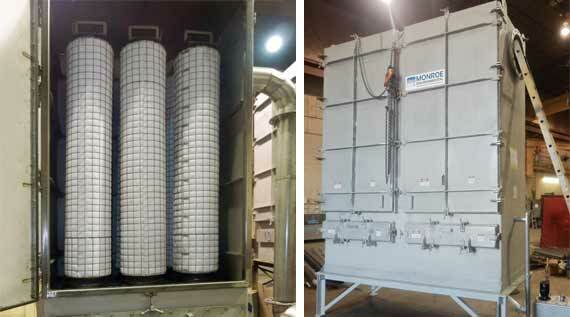 The system was sized to treat 10,000 ACFM of exhaust gas. 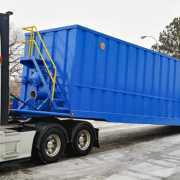 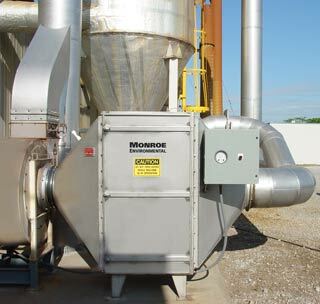 The scrubber was delivered, installed, started-up, and commissioned with the assistance of Monroe’s on-site field service support. 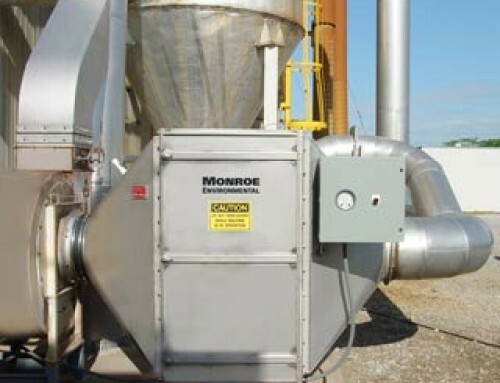 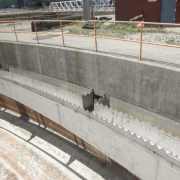 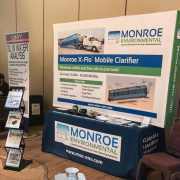 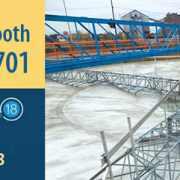 Monroe worked closely with the plant and installation contractor to ensure a smooth installation. 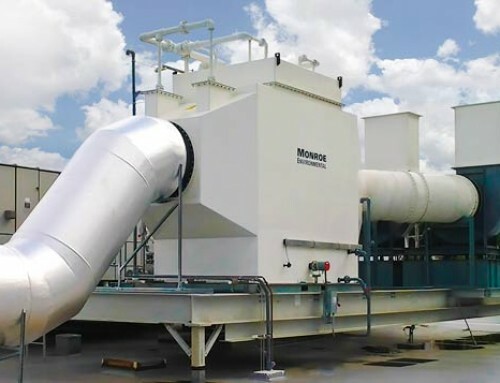 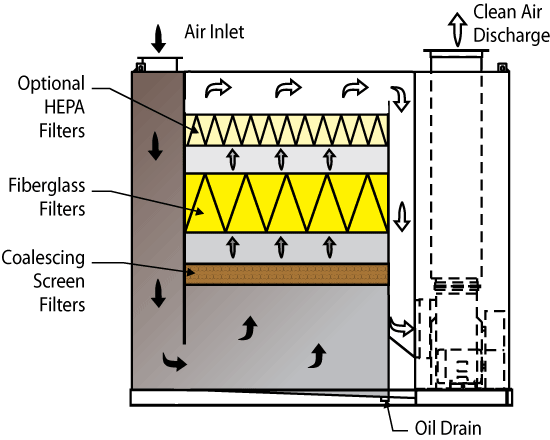 The unit is successfully operating and reducing harmful emissions prior to discharge. 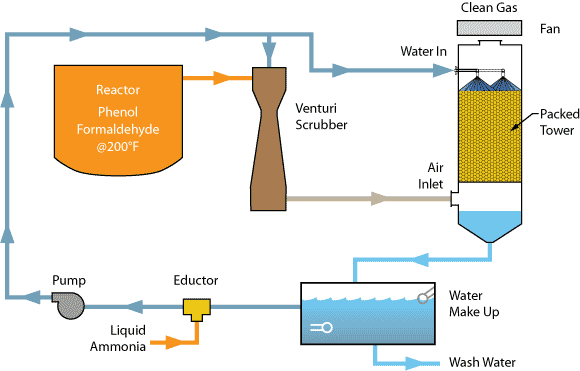 The scrubber meets all EPA emissions requirements including a maximum SO2 limit of 18 ppmv.